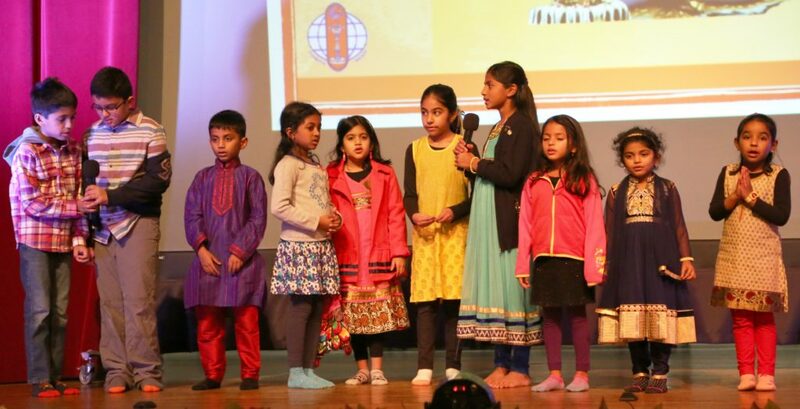 The children of the Chinmaya Bala Vihar reciting a hymn at the beginning. together Bharatanatyam, Kuchipudi, Kathak, and Odissi styles of dance traditions. 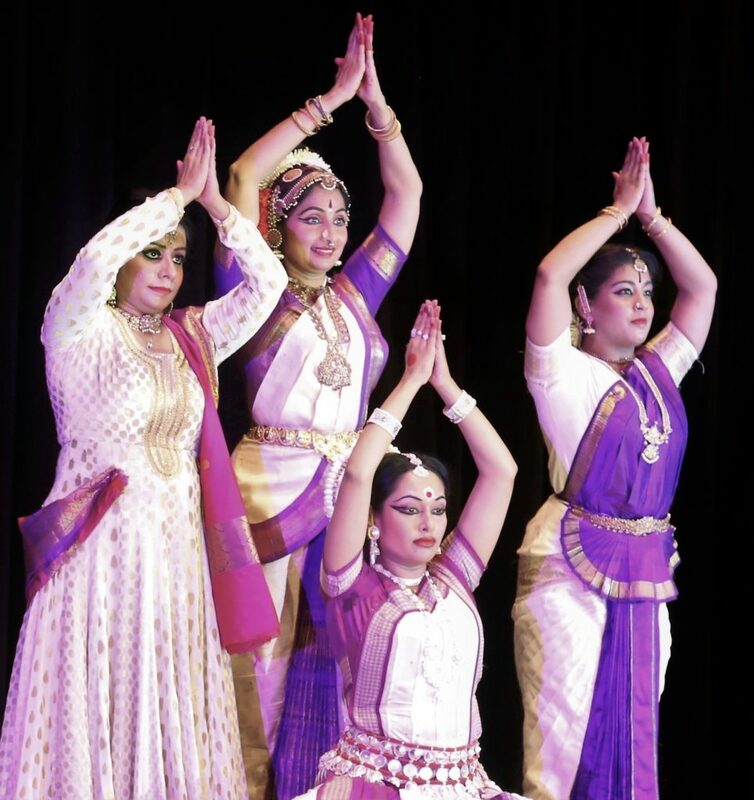 The artistes were Atri Nundy (Bharatanatyam) from Buffalo; Kamala Reddy-Rajupet (Kuchipudi); Sudeshna Maulik (Kathak) from Toronto; and Shibani Patnaik (Odissi) from the Bay Area. Tejaswini Rao from Buffalo helped in the choreography, and emceed the dance program. The dance items, interspersed with speeches from the Chinmaya Organization, gave enough scope for the artistes to display their artistry individually and independently. They also succeeded working together in pairs and groups in storytelling, while retaining their individual styles while dancing to the same music. The final piece was a nicely choreographed Tillana, ending in a crescendo of all the artistes dancing together in their own unique styles with good kaala-pramaaNam (timing precision) for the same jatis (rhythm patterns) and music. The focus of the event was fundraising for their Vedanta Center-Temple complex. Over 450 adults and children participated in the fundraiser. They have already acquired land for the place that would include a Shiva Temple, a Vedanta Center, Bala Vihar, and rooms for meetings and classes. Against their goal of $1.25 million for the evening, they raised as pledges and contribution over $1.1 million — an impressive number by any measure. This entry was posted on January 6, 2018, 10:30 am and is filed under January 2018, Past issues. You can follow any responses to this entry through RSS 2.0. You can skip to the end and leave a response. Pinging is currently not allowed.